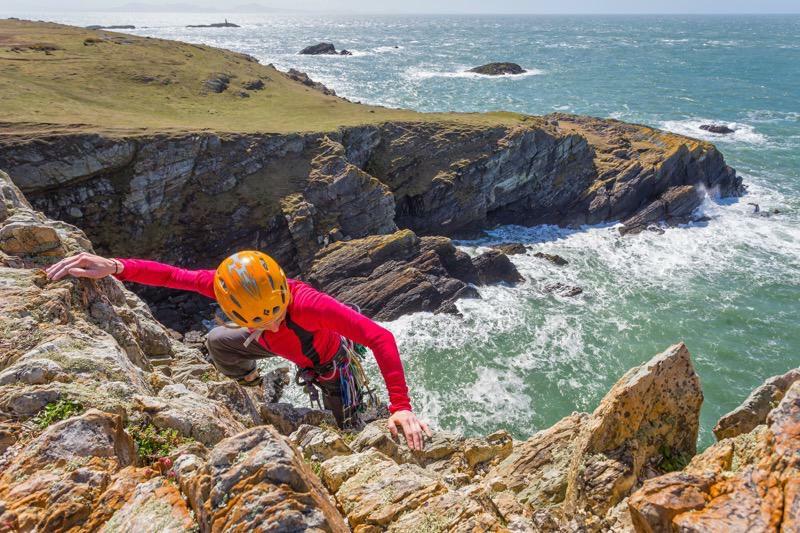 Pembrokeshire offers some excellent and diverse climbing for all, from bouldering and short slabs for beginners to steep and technical climbs up to E9. Most routes around the county are tidal and access is usually by abseil, but the journey is worth it to experience some of the best climbing in the UK. What makes it world class is much more than the climbing – just stick your head over the edge – incredible geology, fragile plants, birds, seals, and, if you are lucky cetaceans such as porpoises and dolphins, all sharing a spectacular landscape and seascape all add to the experience. To view businesses who offer climbing, view our activity map. CHOOSE an appropriate crag for the weather and tidal conditions, your ability and that of the people you are with. CONSIDER your impact on the environment, wildlife and other people. Avoid gardening routes, don’t climb routes with nesting birds and try to leave the crag in a better state than you found it. FIND OUT about any local codes of conducts, byelaws and restrictions as well as general good practice and safety guidelines and follow them. PEMBROKESHIRE is a bolt-free climbing area. Do not place bolts and minimize any fixed equipment. Pegs tend to rust fairly quickly and excessive tat can make the cliffs look tatty! 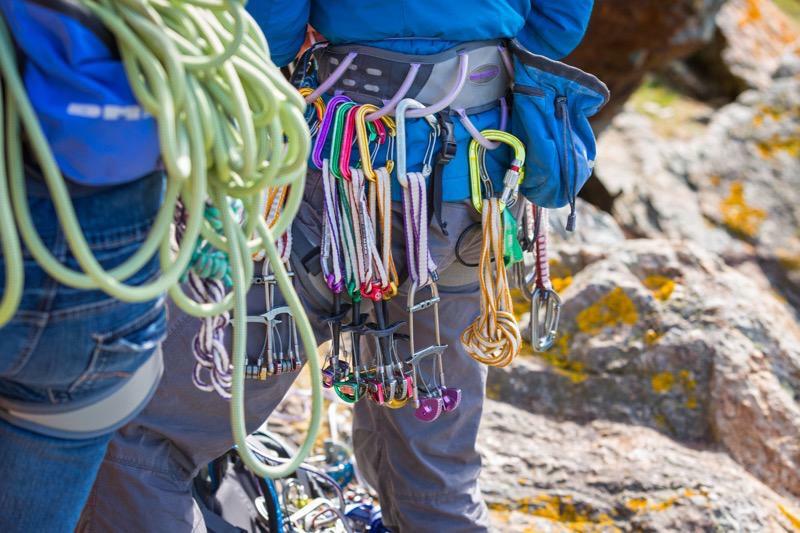 DO NOT PLACE BELAY STAKES without consulting the land owner – these can become a visual eyesore and a health and safety hazard. TAKE CARE when finishing routes – there are often loose blocks in the final few meters. MINIMISE the impact of groups by keeping group size small, avoiding monopolizing routes for long periods of top-roping and avoid abseiling down popular rock climbs. SMIILE A LOT – you are on the best sea cliffs in the country!